Fennex developed an augmented hearing app used in combination with Apple Airpods. Exactly one year after the company launch, Fennex has achieved two important milestones. The startup has reached 100,000 users of which 30,000 are active on the app monthly. And a second version of Fennex with substantial usability and technical improvements has been completed. 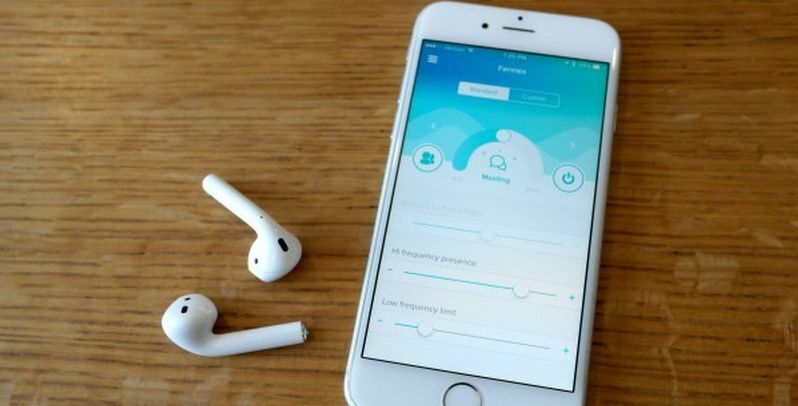 In effort to allow people to communicate audibly at social gatherings, meetings, and the like, Fennex, a Zurich based startup, developed the first augmented hearing app that works with Apple AirPods to provide a personal hearing amplifier. With 100,000 downloads to date, thanks in part to their compatibility with Apple AirPods, the hearing aid app has had an agreeable first six months. “Supported by a corporate partner, the Fennex mobile app is slated to secure one million users in the next few months through product optimization and offering expansion,” said Alex Mari, Co-Founder and CEO of Fennex said of the iOS app. Currently the app is free of charge for end users. In future, users will be able to upgrade to a Pro version comprising of extra features that are not accessible in the free version. "We are testing the concept of a PRO version for employees that work in open space offices and are constantly exposed to noise. We believe our solution can help increasing productivity and collaboration while reducing isolation. Our vision is to enhance social relationships with smart and simple digital technology", said Mari. “Exactly one year after the company launch, we have achieved two important milestones. Firstly, we completed a second version of Fennex with substantial usability and technical improvements in line with our users' wishes. We are focusing our energy on the development of proprietary algorithms, for example, to reduce annoying background noise while preserving the quality of the speech. Secondly, we have reached 100,000 users of which 30,000 are active on the app monthly. An impressive 75% of those users are from North America,” said Alex Mari, Co-Founder and CEO of Fennex said of the iOS app. Fennex 2.0, launched today, includes new features like a simplified interface as well as some interesting creature comforts. These comforts include greater personalization of the hearing experience with a feature that enables or disables the hearing correction based on the results of a hearing test. Another new feature called ‘Background Noise Reduction’ was particularly appreciated by the 600 Fennex beta users who had the chance to test the app prior to its public release; especially those that have to deal with excessive background noise in the workplace. To facilitate this new functionality, an algorithm analyses surrounding sounds for three seconds to detect noise. Then, an ‘audio mask’ is created in real time that filters out those frequencies identified as noise. This new feature is in line with the Fennex vision to improve peoples’ social experiences in tough listening situations. The Fennex app is now available in the apple app store in 13 languages.